Little known fact: (European) ninjas love margaritas served with salsa. So much in fact that we now have the Euro-Pro Ninja Master Prep to contend with. Far from being an adversary unworthy of our attention, the combination appliance mimics a food processor and a blender. Using an interchangeable motor head to supply the power, the “Master Pod” can be switched on the fly from the 48-ounce pitcher to the 2-cup processor and back again all without spilling a drop. 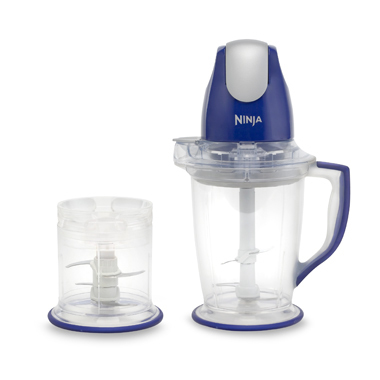 Using “Ninja Blade technology”, perfect drinks are created with one-touch pulsing action, while the processor minces, dices, chops, blends and purees with “no soggy results”. Sneaking in another batch of margaritas while prepping the rest of the meal never sounded so dangerous.